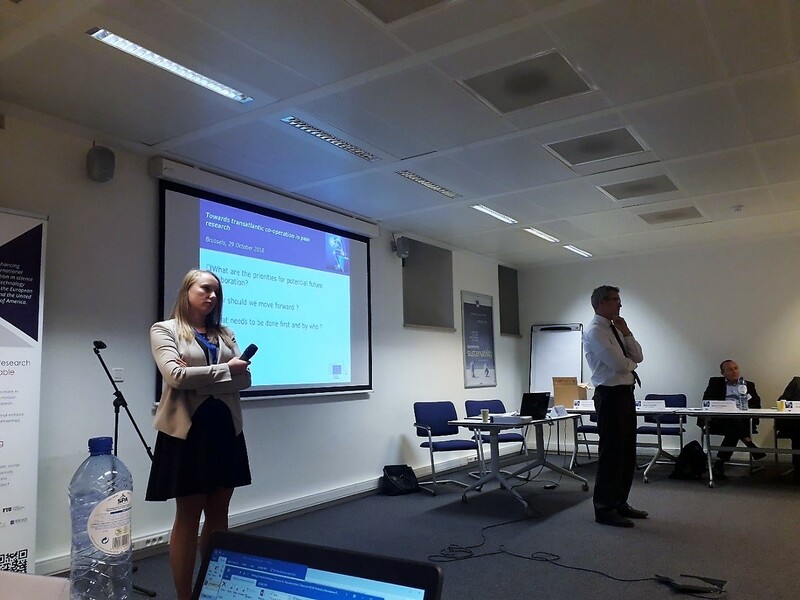 BILAT USA 4.0 in cooperation with the Health Directorate of the DG Research and Innovation, European Commission, organised the workshop titled “Towards Transatlantic Co-operation in pain research”, held on 29th of October in Brussels, Belgium at the premises of the European Commission. The event served to support the ongoing US-EU dialogue in the area of Pain Research and aimed to engage US and EU experts in active discussions, encourage joint programmes of work and support communities of research. Over 30 experts from Europe, US and Canada attended. The workshop’s main objective was to facilitate networking, knowledge sharing and idea development in pain research, as well as to identify potential collaboration priorities in research on pain under the upcoming Work Programme in Horizon 2020 and for the next Framework Programme (Horizon Europe - 9th Framework Programme), in order to boost EU-US STI collaboration activities in the area. The workshop was chaired by Dr Anna Graca, a programme and policy officer at the European Commission, in the Directorate-General for Research and Innovation and the manager of a portfolio of EU funded research projects on epilepsy, pain and mental health. Irene Norstedt, the Acting Director of the Health Directorate of DG Research & Innovation, provided the opening remarks, which were followed by presentations and discussions under different sessions. The day started with the session “Setting the scene: The societal and economic burden of pain”, which aimed to understand the global burden of a disease and how to better align research and innovation with the needs, values and expectations of society. Presentations were given by Joop van Griensven - Pain Alliance Europe (PAE), EU; Fiona Campbell - Canadian Pain Society, Canada; Thomas Tölle - European Pain Federation (EFIC), EU. The second session titled “The last decade of pain research – the state of the art” summarised the last decade of efforts to advance pain research – challenges, current state of the field from global perspective, and needed next steps, for seven identified areas within pain research, presented by 8 renowned researchers from EU, US and Canada. The third session titled “Key priorities in pain research (EU, USA, Canada)” explored the national strategies, policy and key research priorities in pain research within the 3 countries, presented by representatives from the European Commission, the National Institute of Neurological Disorders and Stroke (NINDS) and National Center for Complementary and Integrative Health (NCCIH), and the Canadian Institutes of Health Research (CIHR). The last session of the day titled “International partnerships - How do we work together?”, covered some of the most significant current initiatives for research in Europe, Canada and the US, and international collaboration. BILAT USA 4.0, EU-Canada Programme Level Cooperation Task Force, European Brain Council, Innovative Medicines Initiative (IMI) and some other initiatives and projects were presented. The day ended with an interactive discussion on coordination of international efforts, strategies and partnerships to advance research on pain, moderated by Stéphane Hogan from the Health Directorate of DG Research & Innovation. Some of the main conclusions and recommendations included an emphasis on the importance of international collaboration in order to reach a bigger impact together, and as such the need for support of joint work of researchers through US and Canadian national and EU-level programmes. It was suggested that the ultimate outcome of research on pain would be developing a therapy that can take the chronic pain away. Working together, building trust amongst each other and sharing the same language were identified as key factors for success. Putting patients’ interests first, involving them and using language that reduces stigma around pain are also seen as crucial points. Numerous issues within pain research and collaboration topics were identified, such as identification of biomarkers, research on pain across the life span, learning more about acute pain. It was emphasized that researchers should aim to explain their research goal in an understandable way to patients and society, and that education on pain should be ameliorated for health professionals.